On April 8, 2019, the Canadian government introduced the act to create new regulatory for immigration and citizenship consultants and ensure their professional conduct and protect the aspirants from frauds. In Canada, there is a self-governing Immigration Consultants of Canada Regulatory Council (ICCRC), which regulates the process of immigration programs in Canada. 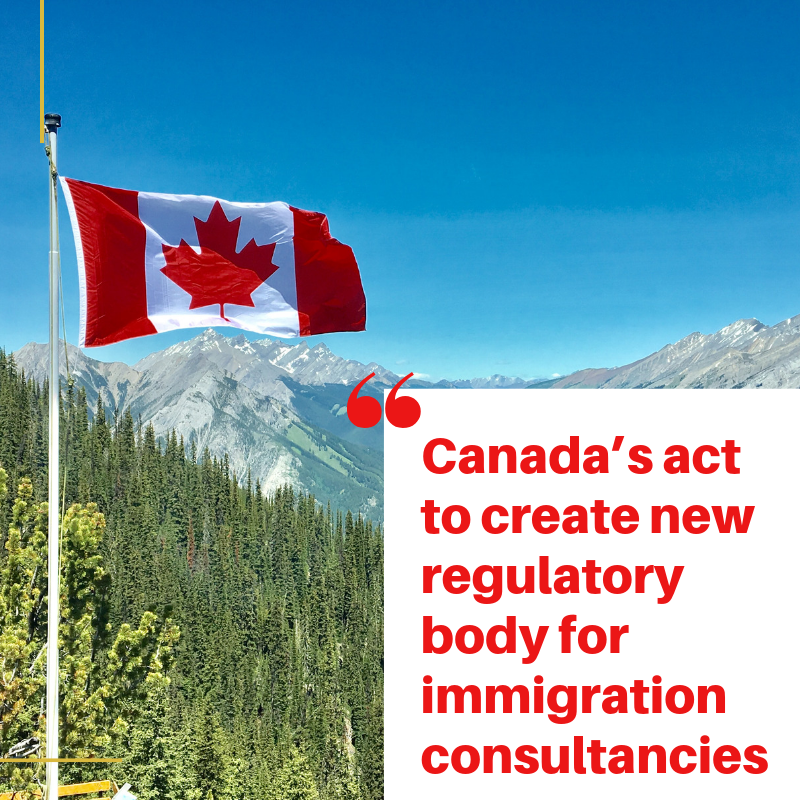 However, now the government has decided to make the College of Immigration and Citizenship Consultants Canada’s official regulatory and oversight body. The budget of around $51.9 million over five years, beginning in 2019-20, and $10.1 million per year ongoing was proposed to protect new immigration aspirants as well as to strengthen compliance and enforcement measures. The role of immigration consultant is to provide legal services in immigration matters. However, now, there are many fake agencies or groups of people who trap clients in their tricky language and charge high fees in return. According to an investigative report of Canada’s Globe and Mail newspaper, there are around 45 international recruiters and immigration consultants who have been charged for exploiting more than 2,000 foreign workers and students on the name of work or even permanent residence in Canada. In fact, the growth of the immigration industry leads to an increase in the number of such fake consultancies. It prohibits persons who aren’t licensed and represent themselves as licensees. In addition to this, the government is planning to make some changes in Canada’s Citizenship Act and the Immigration and Refugee Protection Act (IRPA) to double the existing maximum fines for those who violate the rules of the relevant sections in those acts. So, if you are interested in immigrating to Canada, then countrywide visas is a trustworthy immigration consultancy. It is one of the fastest growing Immigration consultancies with a large, devoted team of Immigration experts offer hassle-free and professional services to its clients for filing their applications for various immigration programs.